To be a bit more girly than the natural Mario Brothers, we used a bright eye-shadow to match our color (red, green or yellow) and extended our eyeliner to be exaggerated. We definitely wanted to separate ourselves from the typical Halloween costume store of the Mario Brothers. Halloween night – Everyone loved our costumes!! 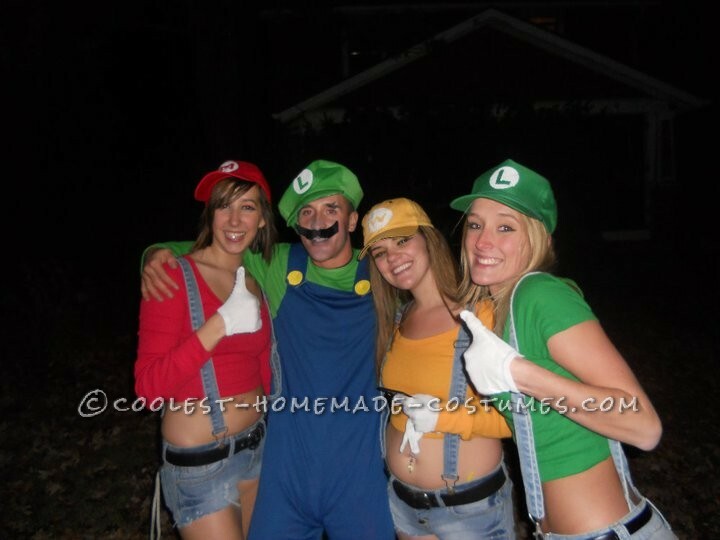 They admired the fact that we made our own and that it was a Mario Brothers costume. 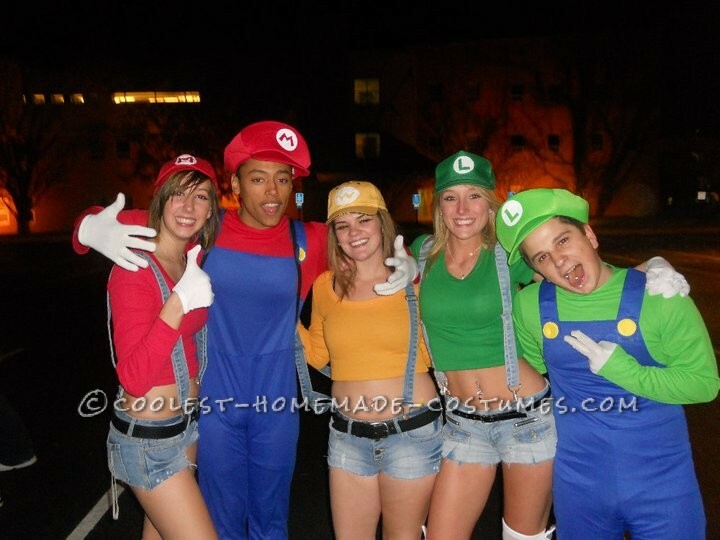 Other Mario Brother’s costumes were cheering at us and taking pictures with us. (As seen in pictures). All in all, it was probably the best costume my friends and I have thought of and the most unique!